With a very clever sliding mechanism to lengthen or shorten itself.Convenience to fire your food in distance and avoid scalding your fingers.Because of the flexible fork ,it makes you easy to carry when go picnic. The wood handle keep you away from the heat. The thickening material, durable stainless steel can be repeated use in long time. Process refined, texture prominent, intentions build for all your customers! 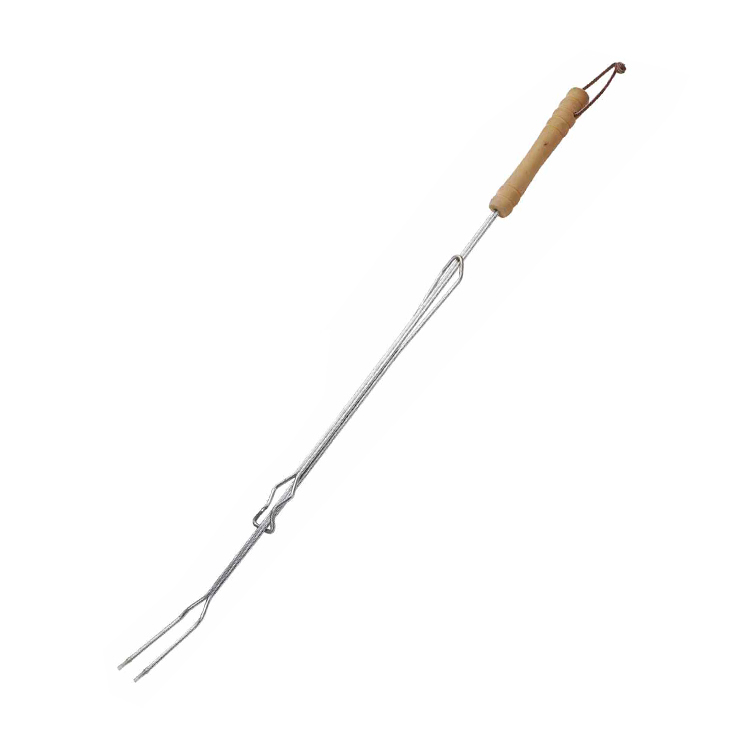 Looking for ideal Bbq Fork with Wood Handle Manufacturer & supplier ? We have a wide selection at great prices to help you get creative. All the Flexible Bbq Fork are quality guaranteed. We are China Origin Factory of Bbq Fork to Fire Food. If you have any question, please feel free to contact us.